When I was a kid growing up in San Francisco everybody was well versed with rain, which seemed like it could come down at any time except during the warmest part of the year in September-October. We didn’t have advanced materials to protect us from the elements then like Gore-Tex and super-hydrophobic coatings for our windshields then. I was a traffic boy in elementary school and we often went out in the mornings and was often sent out wearing a rubberized slicker with brass clasps like the one on this Etsy page. It was just the way things were here, before the years of drought starting in the 1970s. Now we’re back to those old weather patterns it looks like, with days of steady rain swelling the rivers in the area and snarling up traffic. 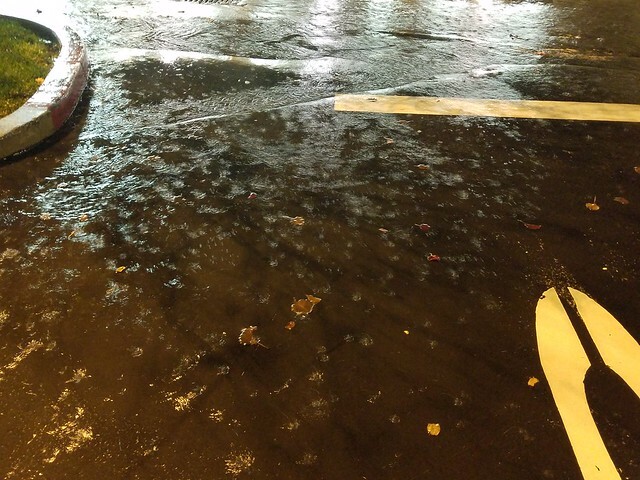 Drivers are so unused to driving in rain a downpour makes it look the way things look after the first snowfall when you live in the Northeast: chaos. 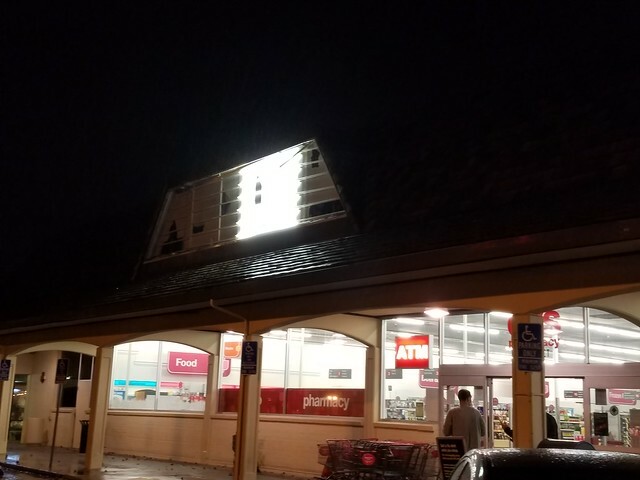 The wind and rain was too much for the display sign at the pharmacy where I pick up my prescriptions so they had to take it down and go with naked bulbs. The water is coming down too fast to properly soak into the aquifer, I’m guessing, just pooling on the pavement until it can just run off into our waterways. I’ll take it over the wildfires we get every year in the backcountry at the tail end of summer.